A great present for a child who has just accomplished something, such as making it to middle school or starring in a play. 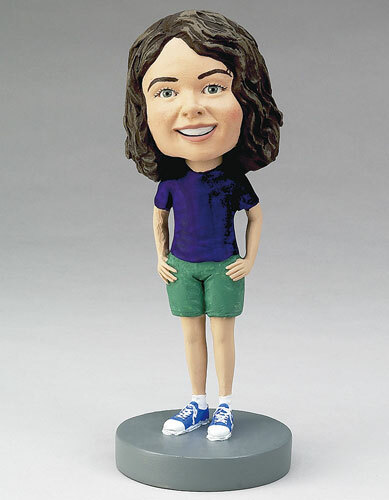 It can also be added to your existing bobblehead family. Dressed casually, this little girl's outfit can be customized, and you can add accessories to emphasize your child's talents or accomplishments. The special instructions box also allows you to specify more particularly what details you want emphasized on the custom doll.